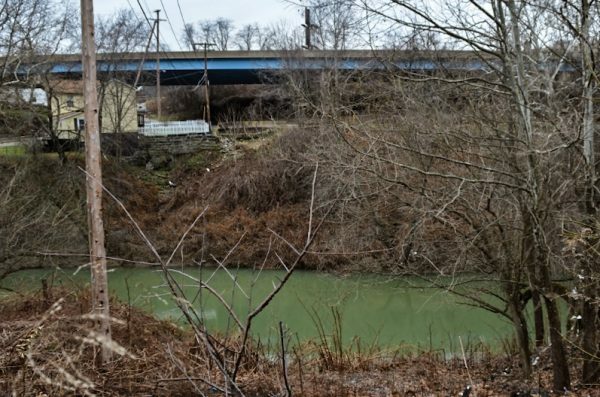 It rests in plain sight but most Wheeling area residents are not aware the Manchester neighborhood still sits secluded on land across Big Wheeling Creek and at the base of the hill where a portion of the village Bethlehem is located. 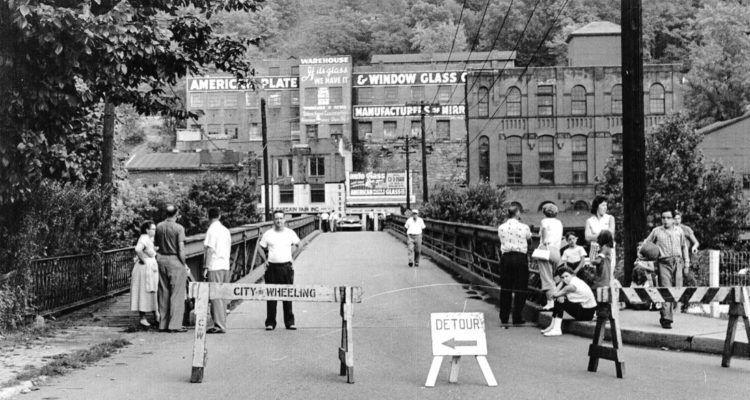 There has been only one legal way in and out of Manchester, though, since the mid 1990s because that is when the city of Wheeling removed the bridge that spanned the tributary to the Ohio River. The city at the time, according to Del. Erikka Storch, insisted the Manchester Bridge would be reconstructed, but the sandstone abutments are still without a span to support. The area is referred to as “Manchester” in the 1873 Atlas, explained local historian Ryan Stanton, a history teacher at Wheeling Park High School. 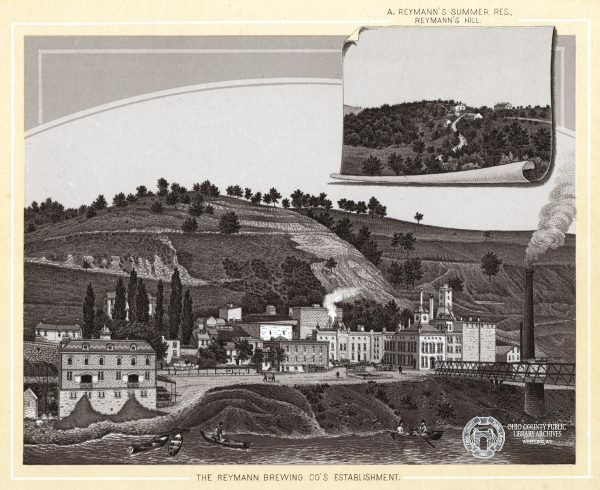 Stanton has conducted a tremendous amount of research in the city’ brewing history and the Reymann Brewery was located in this area. 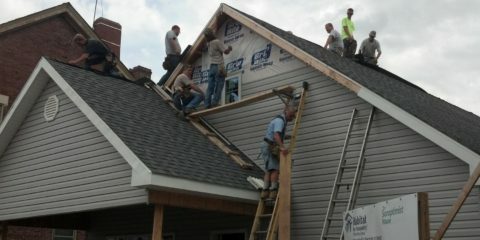 “It was named that because of a previous property owner, and it just stuck,” he explained. “I think the area has been forgotten by most people in the city and you can tell that when you go there. In my opinion it was a strange decision for the city to remove the bridge and not replace it because, without the bridge it’s abandoned. 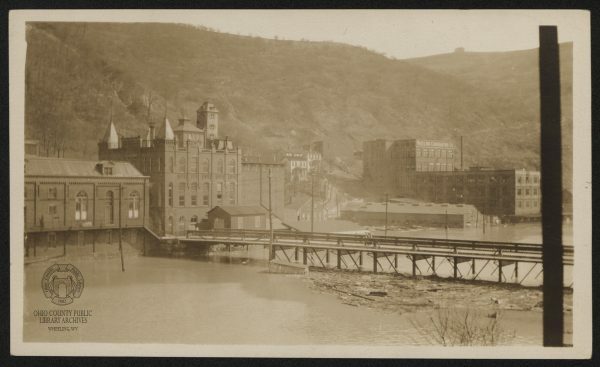 Beer brewing was big business in the city of Wheeling until prohibition was implemented by the West Virginia Legislature in 1914, and the Manchester area was a popular one because of the natural water springs in the area and the hillside which could be mined for coal. According to information posted online by the Ohio County Public Library, no one truly knows who brewed the very first beer in the Friendly City. Butterfield’s Malt House was in Center Wheeling, Smith’s Ale Brewery did business in East Wheeling, and The Eagle Ale Brewery manufactured in downtown near Independence Hall. 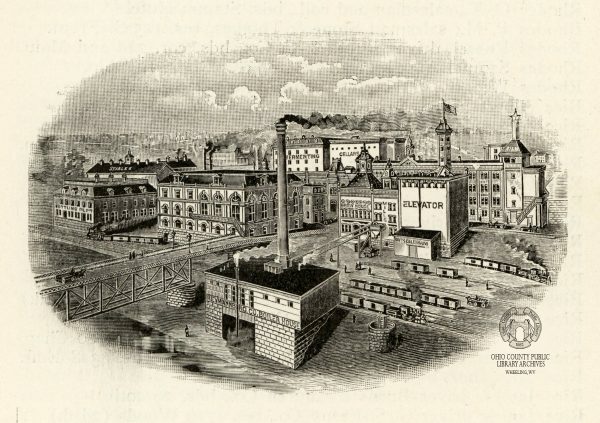 The Schmulbach Brewery, which still stands today in South Wheeling, was one of the most popular ales in Wheeling by the late 1800s, and the Nail City Brewery brand was even bottled by the Siebke’s Bottling Department and sold in the downtown district. The Reymann Brewing Company was founded as the P.P. Beck Brewery in 1849 and George Reymann gained full ownership by 1863 in the Manchester area. It was situated near the old Catholic cemetery where cast iron coffins were discovered when the interred souls were interrupted to make way for I-70, and that area, too, rests in ruins today. 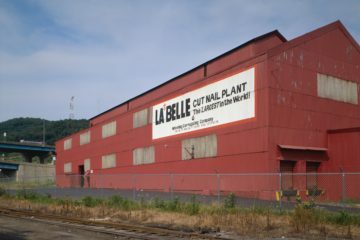 This structure has been used by several businesses since the early 1900s,. 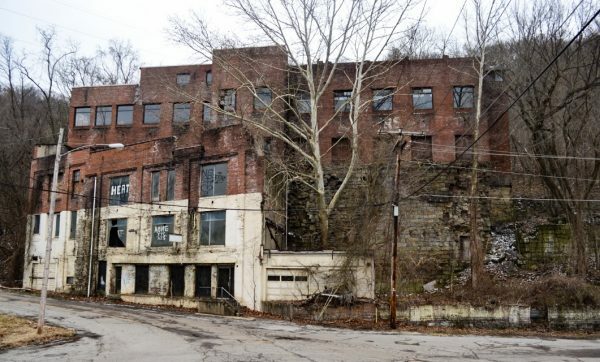 “They all were part of Wheeling’s brewing industry, and it reached its high point beginning in the 1880s, but prohibition killed them all, of course,” Stanton reported. “There was a lot of brewing that was taking place at the time the state brought in prohibition, and most of them lost everything. Reymann, though, was into a little bit of everything in this area. I’m not saying it didn’t impact that family because I’m sure it did, but from what the records indicate, it didn’t force them out of this area. They just weren’t allowed to brew their beer anymore. Storch remembered her lunches at Rosalie’s Bar & Grill that was located on the street level of a white house about 100 yards from the fabricating factory, and there was another building where another bar was located, but it literally crumbled to the ground a little more than a decade ago. The Manchester Bridge spanned Big Wheeling Creek until it was removed in 1991. 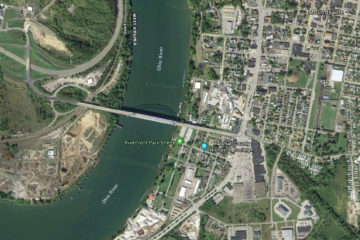 When the Manchester Bridge remained in place, residents of South, Center, and East Wheeling could travel to Wheeling Hospital by traveling 17th Street, Rock Point Road, and then Mount de Chantal Road to Medical Park with one traffic light along the way. 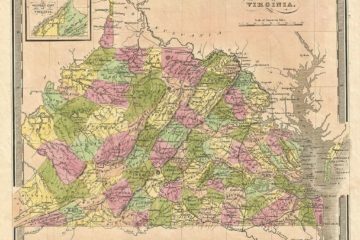 Nowadays, though, those citizens must utilize W.Va. Route 2 and Interstate 70 before reaching two traffic lights at the intersection of Washington Avenue and Mount de Chantal Road. Another path exists adjacent to Ohio Valley Steel and another large factory, but the roadway is privately owned by the two companies and is not a legal passage for throughway traffic. “I know there are some people who are confused about that fact, but it is true,” Storch confirmed. “Without the bridge we would have the raw materials delivered to the shop via Rock Point Road, and my father had the shop set up so everything moved forward toward delivery from that road to 20th Street. The white building once housed Rosalie’s Bar & Grill, and the blue structure is Ohio Valley Steel. 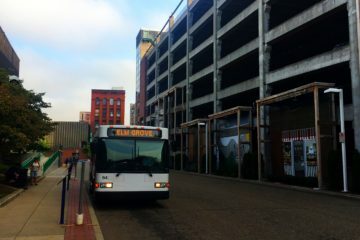 Such a span would re-link residents in Morningside, Clator, and the Washington Avenue business district to the city’s downtown without a dependence on the highways that are often under repair. 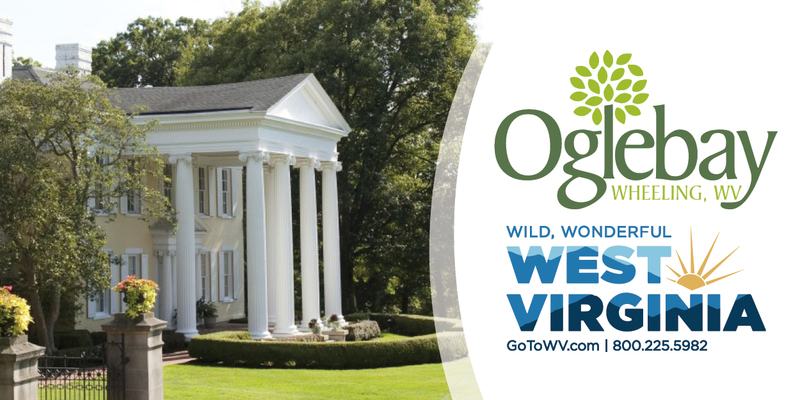 In fact, according to Gus Suwaid, district engineer for the state Division of Highways, access to the interchanges connecting W.Va. Route 2 North to Interstate 70 East will be limited once work begins on the three bridge systems east of Wheeling Tunnel. Suwaid estimated a new span over Big Wheeling Creek in that area would cost a few million dollars but would not be a project contracted by the Division of Highways although former W.Va. Gov. 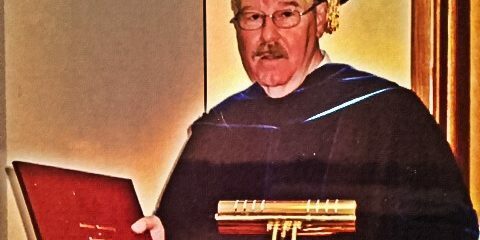 Cecil Underwood (1997-2001) once promised the state would deliver a new span, according to Wheeling City Manager Bob Herron. According to this illustration archived by the Ohio County Public Library, Manchester was a buzzing industrial area of the city. Wheeling Mayor Glenn Elliott said he has heard of this neighborhood and of the bridge but not because anyone has expressed an interest in developing there. “Nobody approached me about the topic during my campaign or since becoming mayor,” Elliott explained, “but I have heard suggestions for replacing the bridge over the years before I was elected. Herron, the Friendly City’s city manager for nearly 15 years, recently visited the Manchester area to examine the condition of Rock Point Road. 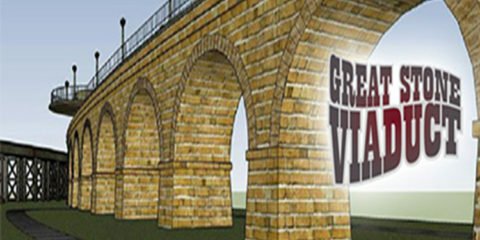 “It would be great if a new bridge was constructed there because of what it would do for traffic patterns for residents, but I believe it would be a very expensive project,” he said. “The city has worked on the two bridges that allow access to the industrial park, and those two projects have cost more than $3 million. I grew up in this neighborhood. I walked to school across the Manchester Bridge from 6th grade through high school. 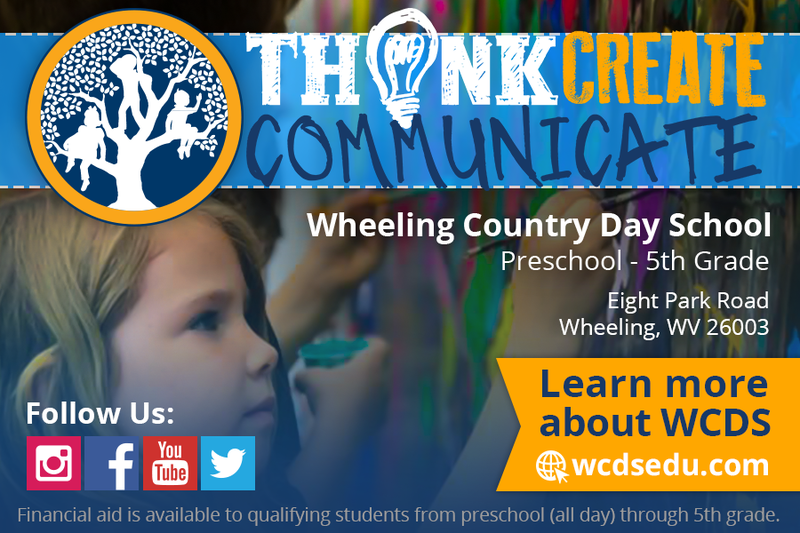 I loved living on Rock Point Rd at that time, we were close enough to downtown Wheeling to walk there but we were also in the country with woods behind our house and Big Wheeling Creek just a short walk from us for fishing and Wetzel’s Cave just a short hike down the hill for childhood adventures. I often spent time in The Oh’ Henry Club to grab a Pop after playing basketball at Elk’s Playground or to see my dad who bartended there at times. I graduated high school in 1985 and moved away from the area shortly after. I know my father fought the good fight to reconstruct that bridge while he still lived on Rock Point Rd. 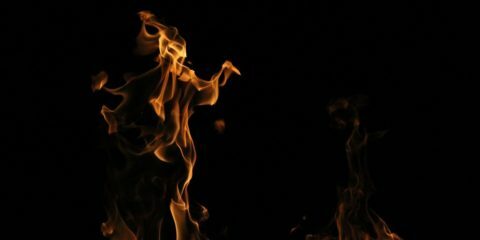 When he and my mother moved, no one continued the battle. Great memories, sad to see it in such poor shape. Spent many days walking the Manchester Bridge. We would walk across it to get to the grave yard at the top of the hill. Also walked across it to go to Ada Bank’s home. Ada’s father was a minister and had a small church at the top of the hill. My grandmother lived at the top of Rock Point road. I remember walking that bridge and up the hill to her house. When they were constructing I-70, I remember being down in the cemetery and them digging up the graves. To the right of her house, there was a large brick lined pit, we later learned, it was used to burn the clothes of patients in what was known as the Pest House. There is indeed a lot of history in that area. It’s a shame that the city has let it deteriorate to such a degree. And thats what happened to Wheeling. Never look ahead just tear down. It would be interesting to know who owns the land and why they havent demanded access. Obviously they and others paid taxes to have the streets and bridges of Wheeling repaired. I grew up spending time O’Henry Sportsman Club in Manchester. 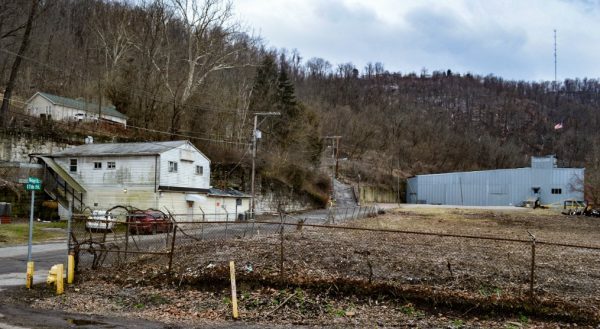 My father grew up on Wheeling Hill and his father and friends all loafed there playing dominoes and pinochle, especially in the winter when working men were typically laid off in the mid- to late 70s before we left Wheeling. It still had some industrial types of business at this time, but it is pretty much cut off from the city now. In the 1950s my uncle worked at the Fort Henry Club which was a bar just over the Manchester Bridge and to the left. As kids my brother and I would walk there every Saturday morning from our house across the street from Clay School to watch the Saturday morning kids programs on TV since we didn’t have a TV at the time. We always took theshort cut of Rock Point Road anytime we wanted to go to the parks.